Hey gang. I missed this over the new year, but Akamatsu-sensei announced that he will be ending UQ Holder in the next two to three years. Apparently, the stress of doing the series is a bit much for him. And he is approaching already 50, so I can understand that. Plus, Akamatsu-sensei doesn’t have the staff he had back in the Negima! days. Since UQ Holder is going to end, here’s my list of things I’d like to see happen prior to the series ending. Let’s hope Sensei takes three years, to do everything right. I want to get Kuroumaru’s backstory and home world explored. 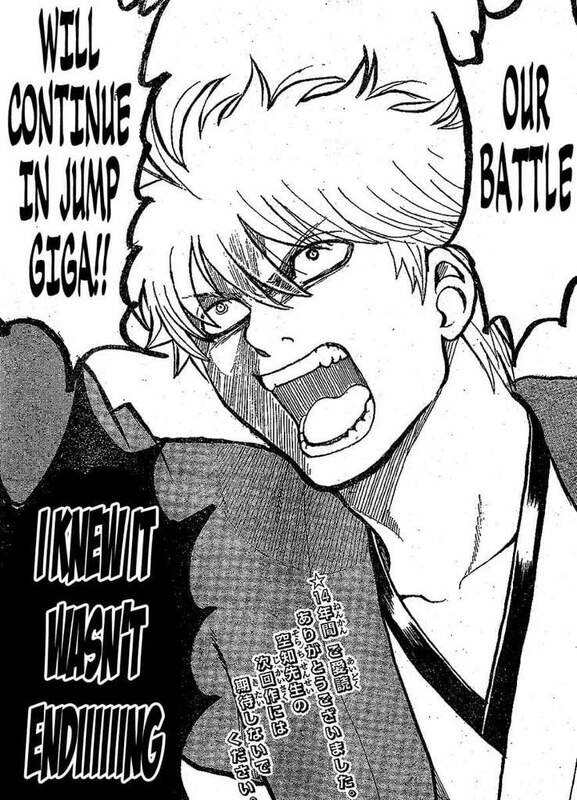 Touta should get a battle harem ending, sans Eva. That means Karin, Kuroumaru, Kirie, Mizore, Shinobu, and I’ll take Honoka and Isana as well. Negi should be saved and end up with Eva. If we get spoilers for the forthcoming UQ Holder chapter 156, I’ll be sure to post them. In the meantime, special thanks to OverMaster for the tip! I always appreciate other fans giving me tips on things I might miss. 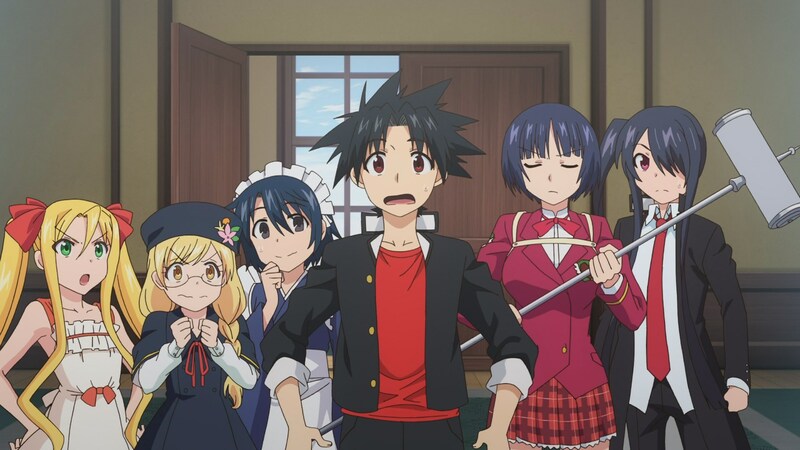 And I’d love to hear any of your thoughts on UQ Holder ending. In fact, he’s already 50 ^^. But yes with this and the monthly release, i’m not surprised too with this news. Ah. I wasn’t sure if he were 49 or 50. But yeah, funny how the body doesn’t handle things as well in middle age as it did in your teens or 20s. I’ve had some late nights due to work recently and it has me all jacked up. ? Not surprising. UHQ is a dumpster fire of tired tropes and uninspired storytelling. I do not regret dropping it all those years ago. I think it was someone on ANN (the UQH BD review?) that said that Akamatsu’s fanservice, which used to be one of his major appeals, is positively conservative by today’s standards. Compare it with “Monster Musume” or “Yuuna and the Haunted Hot Springs” and Akamatsu’s work only seems quaint and nothing more. As for his age, there are many mangaka way over fifty and older that produce work without any issues. JoJo’s Hirohiko Araki hits the big 60 in 2020 and shows no sign of slowing down. Kochikame’s mangaka drew a weekly (!) title until the series ended in 2016 when he was 64 years old. Kazuo Koike, Shirow Masamune, and Katsuhiro Otomo all still produce work in some capacity (some more regularly than others). If Akamatsu stops producing work after UQ Holder ends, he really has no excuse. This may seem bitter, but I lost all trust and respect I used to have for Akamatsu when I saw how the last fifth of Negima turned out and UQH in general. There are other, better mangaka out there more deserving of my time, money, and interest. Being fair to the man, not everyone ages the same way. Some people have way worse health when they’re 50 than others do by the time they are 70. …Akamatsu’s fanservice, which used to be one of his major appeals, is positively conservative by today’s standards. Haha! Sad but true. I know when I look for UQ Holder spoilers, I’m often stunned by some of the softcore H content that is in non-H magazines. ? Most turned out to be seinen titles, but a couple were shounen. As for his age, there are many mangaka way over fifty and older that produce work without any issues. I wonder if it is because he has less staff than before. Or if he has some sort of health issue that he’s not advertising. But as to your thoughts on Akamatsu-sensei and stuff, I can understand that. Things never hit the same level for me that they did for you, but I do understand your feelings. Will UQ Holder be finished in 2-3 years? Well, there’s still a long way to go for 2-3 years, and depending on sales, if the manga is successful, maybe he’ll think about it and lengthen the manga, because 2-3 years, that it would be 24-36 chapters, keeping in mind that maybe the author puts 10 chapters for the final battle, there would be very few chapters to finish the manga, I would like to see Kuroumaru’s past, if Kuroumaru will be woman or man, the past of ialda, the three characters of UQ Holder (Juuzou showed up, but not much is known about him, and the other two have not appeared yet) the tournament, etc. But with only 36 chapters, I dont know if it will give time to everything. Yeah, that’s my concern as well. Haha! Well in this case, I do think Akamatsu-sensei will end the manga. He’s already done the jump from a weekly publication to a monthly publication due to being unable to handle the stress of a weekly series. And now he’s talking of how a monthly title is too much for him. As chapter dedicated to konoka and setsuna’s daily married life or wedding! I more about ayaka. As chapter dedicated to konoka and setsuna’s daily married life or wedding! Haha! I don’t think that’s ever happening. The Japanese LOVE for fans to make up their own version of what happened. Well, there’s a weak possibility of this because of Mizore.